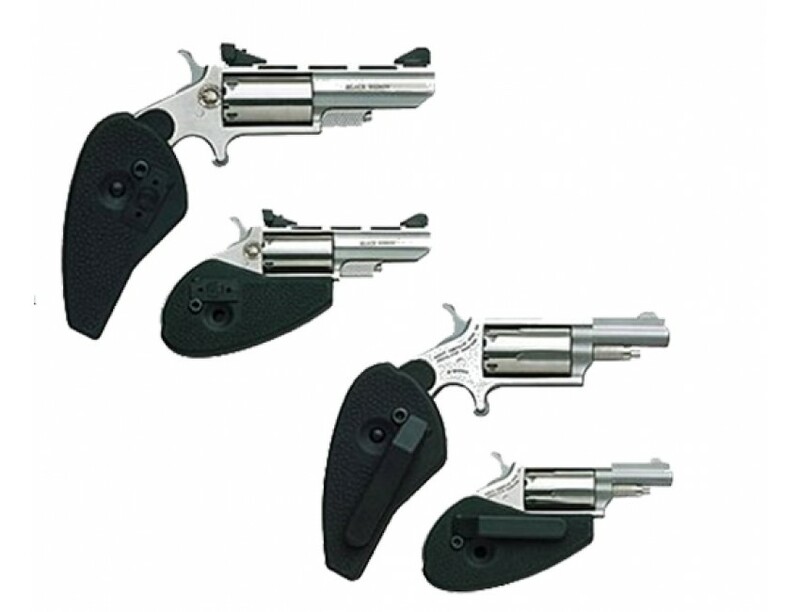 This patented holster grip is an excellent accessory for a mini-revolver on NAA's Magnum frame. Your mini-revolver will fit snugly into this holster grip, which unfolds and locks to become the handle of the gun. By depressing the release button, the revolver folds back into the grip. The holster grip gives the shooter better control and provides an additional safety feature when folded because it completely encases the trigger making it virtually impossible for the gun to be fired. It has an ambidextrous belt clip.